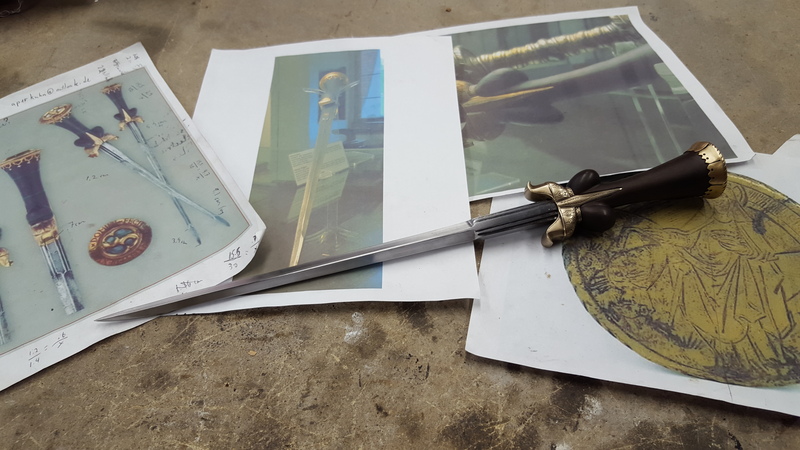 This project is based off of a few historical examples of ballock daggers. 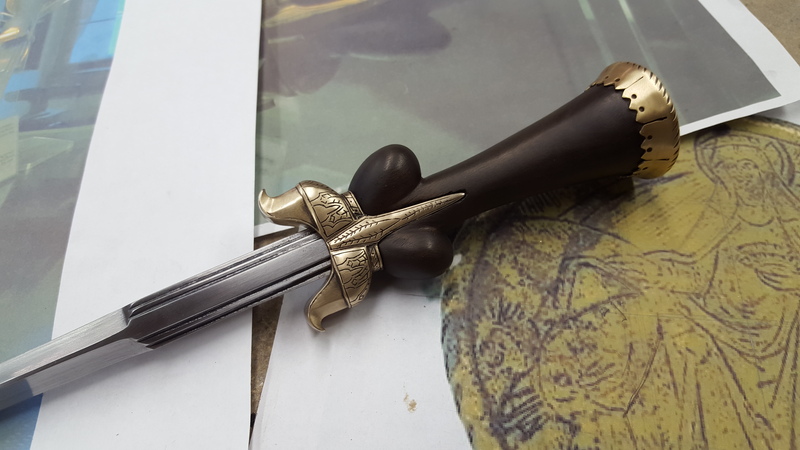 The customer wished to include an engraved pommel cap from a dagger in the Musee de l’Armee in Paris (pictured below). 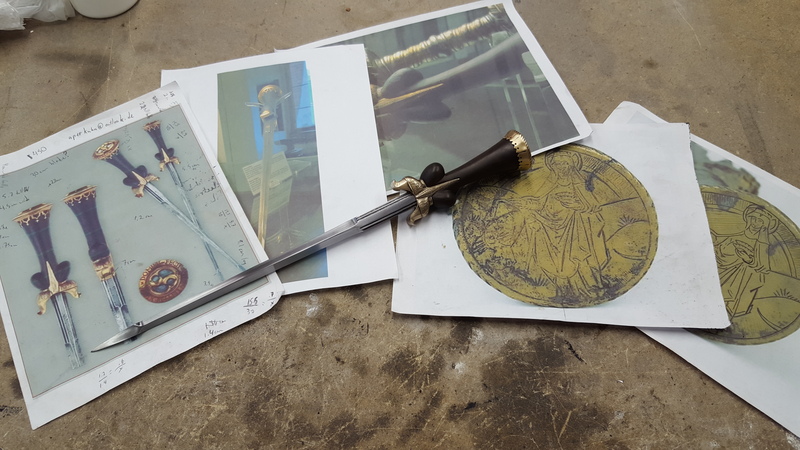 The customer also chose the blade and guard from a dagger in the Rothenburg museum (pictured below). 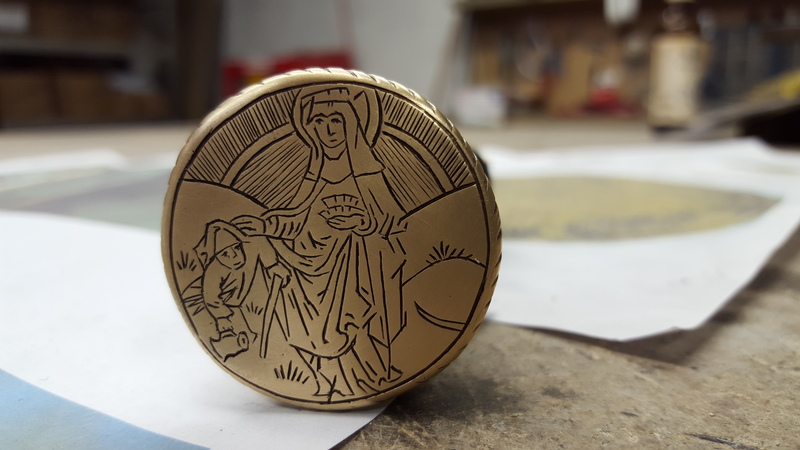 All parts were hand carved and engraved. 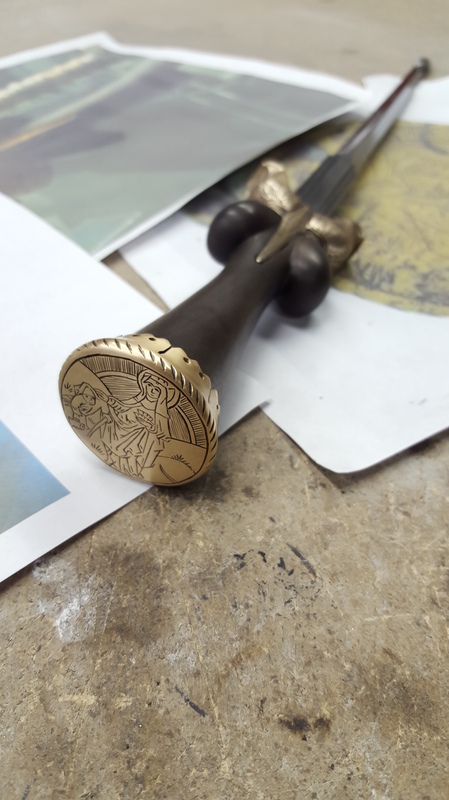 Materials: Blade, hardened 1075 steel; Grip, walnut; Pommel cap and guard, bronze.